I scrambled though the foot of snow on the ground to get a good angle on a sun pillar. 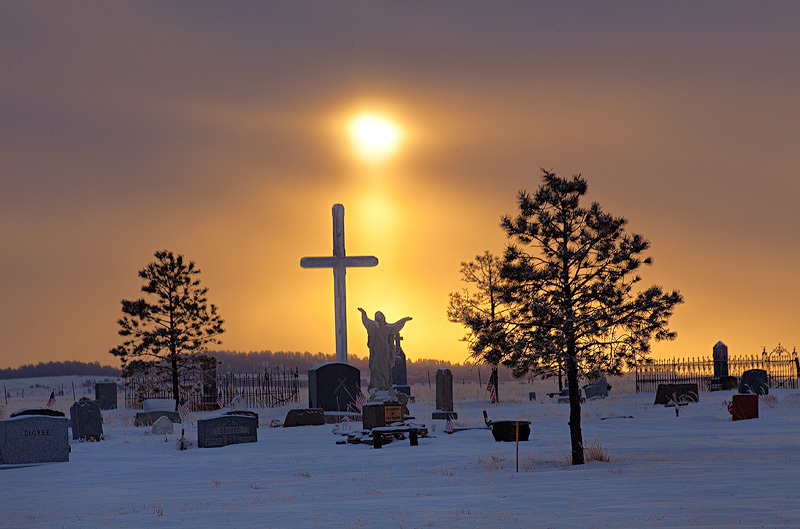 Assumption Cemetery, in SIlver Cliff COlorado New Years morning 2013. Photo © copyright by Stan Rose.